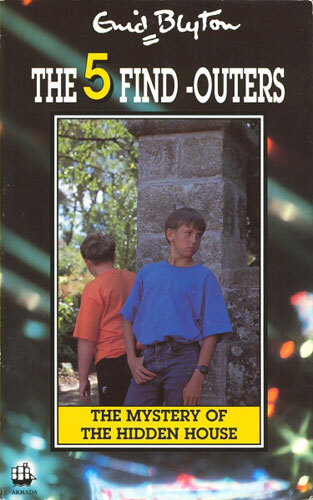 In a change from their adventures up to this point, the Three Investigators are sent away to investigate who is stealing things from a movie location at the seaside. The location gives a sense of scale that the regular novels have lacked, but it also means that we miss out on the usual trappings of the series - the Rolls Royce car, the secret base and its many entrances, and the regular guest cast. There's a little casual racism that feels out of place for a modern reader, but it is challenged within the narrative and actually feels quite forward-thinking compared to some books aimed at an adult readership written in the 1960s. This entry in the series feels shorter than some of the others, and the investigation doesn't seem to flow as well, though the story does work and the reader is able to follow and work out what's going on along with the characters, which is always the mark of a good mystery story. The third book in the series maintains the quality of the second, better than book one. 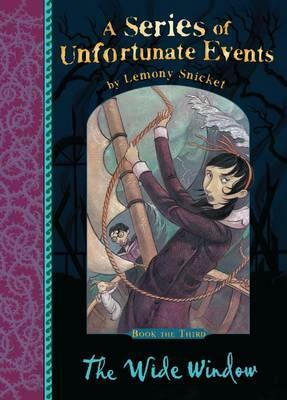 In The Wide Window, the trio of unlucky siblings are sent to live with a distant relative in a house overlooking a lake, and to hide from the ever-present Count Olaf, who is out to steal their fortune. A quick read that took just three sittings, and was reasonably enjoyable. It seems the perfect tone of narrative for reading aloud to a child, but the content is more appropriate for a slightly older child who can read for themselves - it's a narrow target between those two age-ranges that I'm not sure the book quite hits. The series has become repetitive, predictable, and a little annoying by this point, and I have no real desire to keep reading - but I can see that for some people this may be just what you're looking for. Book four in the series is just an engaging as the first three. While more of a procedural novel than a mystery, there are puzzling aspects and it's more a question of seeing how the jigsaw comes together. This book sees detective Roy Grace investigating the death of a body found in a storm drain, while simultaneously dealing with a new colleague who seems to be out to get him. The author manages to cleverly weave together two plot strands several years apart to create a narrative that flows really well. The first third of the book is quite focused on the main character and serves to re-establish and deepen his backstory a little. There's certainly a feeling throughout the series so far that it's building up to something and it's almost painful having to wait to find out what it will be. Obviously as I write, there are another five books already available in the series, but they are quite chunky and I generally dislike reading consecutive books back-to-back. After that the book moves much more solidly into this plot and some of the character stuff seems to get forgotten about. This didn't interfere with the flow as I read, but looking back felt a bit weird. Overall an enjoyable and interesting read from a series I'm certainly planning to continue with. 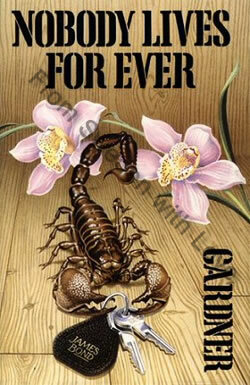 Scorpius is an interesting take on the James Bond novel. There are aspects that feel Fleming-esque, but on the whole it feels neither like something crafted by the character's creator, nor like the previous novels written by John Gardner. It's lost a lot of the more eighties aspects, and feels quite trimmed back and without extravagance. The book is more of a secret-agent procedural novel, with a little bit of character towards the end that doesn't get followed up properly in this novel - but perhaps Gardner is taking a leaf from Fleming's book and leaving the repercussions to the next book in the series. The plot itself feels filled with coincidence - Bond just tumbles into events by accident rather than actually going on a mission, and seems a fairly useless agent for a lot of the time. Overall, the whole novel feels like it could have been about any secret agent - it's missing the ingredient that means it could only be about James Bond. 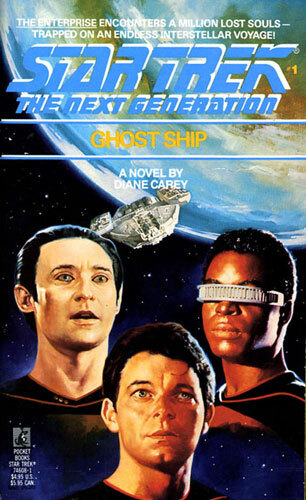 I remember having this book as a teenager - I don't know whether I didn't read it or just completely forgot the plot, but I suspect that if you ask me again in another ten years I will have forgotten again. The seventh Myron Bollitar novel is particularly strong, but also one of the darkest of the series. 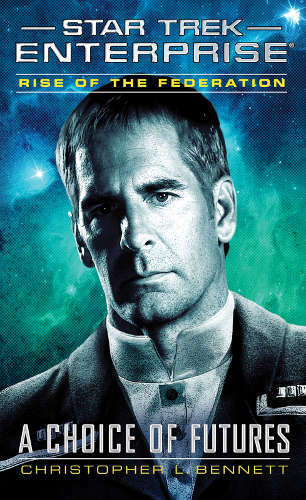 The character is becoming much deeper and the story is more emotional and far more about him rather than about the plot than in some of the early books in the series. In this story a personal revelation from an old friend leads Bollitar into what seems like a straightforward investigation that becomes messier throughout. 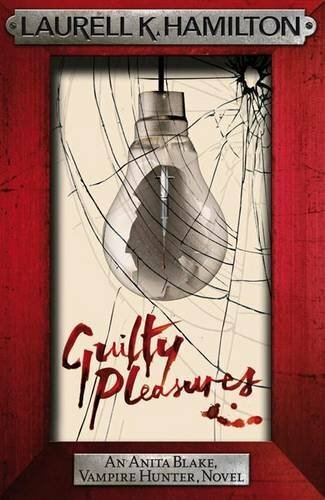 The plot is surprisingly strong and worthy of a serious crime novel, despite the book retaining the light-hearted irreverent tone of narration and dialogue. The complexity of the plot does go a bit far, however, and there comes a point where the reader has been given too much information to process and although it should be possible to work out some plot points along with the characters, it's not possible to keep a handle on all the facts. 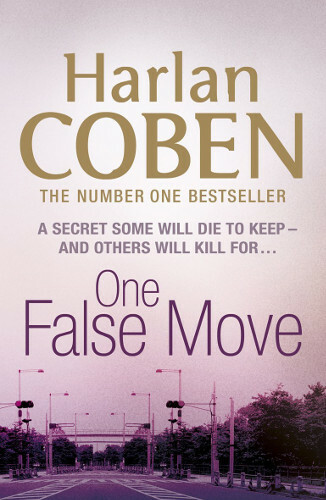 Overall though it's an enjoyable and amusing thriller, with some fantastic dialogue which I think is probably the best feature of Coben's writing. Much less comic-like than the early books and can really be taken seriously. The Fargos return for an adventure in South America, where an accidental discovery sets them at odds with a mysterious collector. 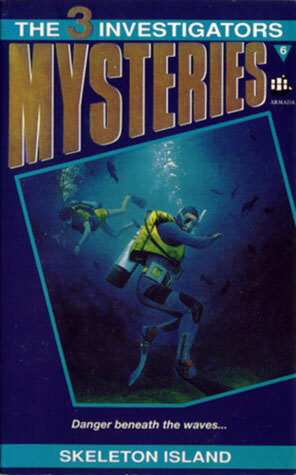 As recent Clive Cussler novels go, it's not a bad little adventure, although there are holes when you look too closely. The story itself is quite plausible and fits the traditional Cussler setup, which was a good early indication that it was going to be a good adventure. The characters are slightly more realistic than they've been before in this series, being cardboard cutouts. Where the book falls down is in the detail - the motivation of the baddies is thin and their backgrounds are vague. There are places where problems could be easily solved with the application of modern technology, and one scene in the UK makes an error that a tiny bit of research would have spotted. It's disappointing that a mistake in something that I do know about makes me doubt what the book tells me about subjects, such as the Mayans, that I don't know a lot about. Overall I've rather enjoyed this adventure, and think it's probably the best in the Fargo series so far. 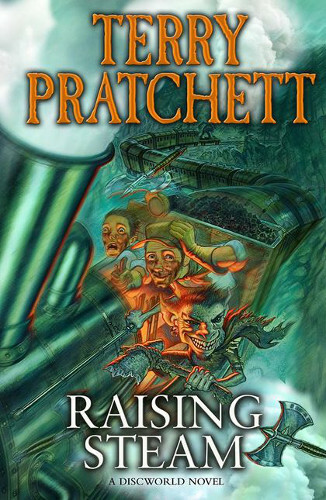 Terry Pratchett's fortieth Discworld novel sees the world take a dramatic new turn in its industrial revolution, led in this instance by the reappearing Moist von Lipwig. 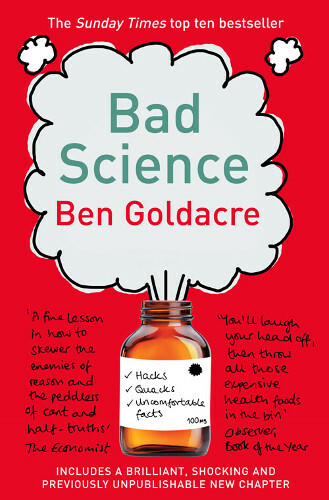 The author has clearly done a lot of research, which makes this feel an incredibly realistic story, and it's almost as if the quality of the humour is back to the standard that I very much enjoyed in his earlier novels. I was constantly tittering to myself as I read, and really enjoyed reading slowly and taking everything in - not something I often do with new books. 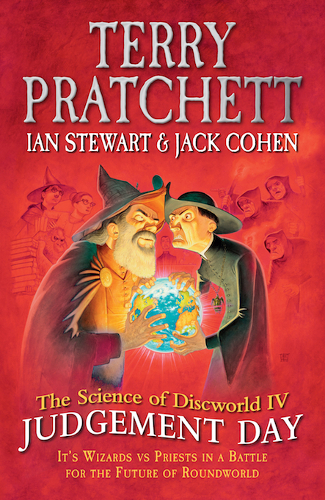 The plot is extensive and complicated, and although the flow of time in the story isn't always perfectly clear - it takes place over what seems a much longer period than most Discworld novels - it moves the plot on at a good pace. Pratchett's mastery of foreshadowing means that developments feel natural throughout yet remain surprising. Truly a classic novel from the master of meaningful comic fantasy, that doubtlessly explores far more than just one reading can take in. I loved the previous two Moist stories and this is up there with those. Very much enjoyed. The final novel in the Rain Wilds Chronicles, and thirteenth full length story to take place in the Realm of the Elderlings, Blood of Dragons follows on immediately where the previous novel left off, and wraps things up - possibly a little too quickly. The world building aspects of this series have been the most entertaining thing, as the characters explore themselves and the new world that they find themselves in. It's a tale of discovery, and yet also of several individuals, whose arcs come to an end. 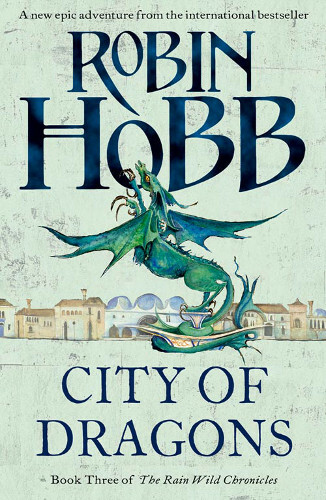 The story itself seems to be just a framework for Hobb to write about the characters and world - this isn't a bad thing in itself, but does mean that the plot is quite slow to develop and the little action that occurs is brushed over quite quickly. The climax of the novel felt particularly rushed and I was disappointed that things wrapped up quite quickly. 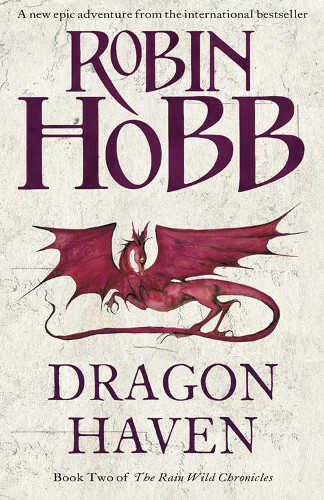 Overall though I've really enjoyed this more domestic look at Robin Hobb's world and spending time in the company of a variety of different characters to those in the previous trilogies. I'll certainly miss not having a fifth book to follow their development further, and look forward to Hobb revisiting the world again in the future. 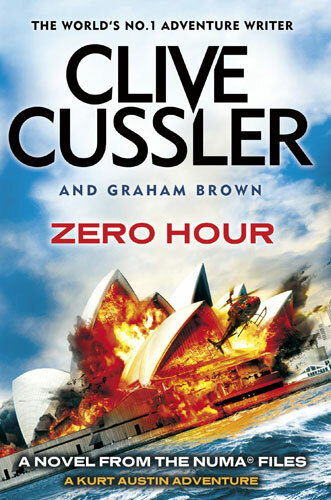 Alex Rider returns in a direct continuation from the previous novel, which sees him team up with the Australian Secret Service to try to crack a people smuggling operation. It's another thrilling and fast-moving action novel, although seems to be borrowing more and more from the format of the James Bond films. The novel introduces some interesting new characters and motivations, and is clearly trying to enrich the world that the stories inhabit. There's also some threat that's unexpectedly strong for an entry in this series, though it's written very much with the target audience in mind, and the reader isn't exposed to anything too traumatic, just the idea. One thing that's emphasised heavily in this book is the short amount of time that has passed since Alex Rider's first adventure. Presumably this is to make him seem the right age still for the target audience, but for me had the effect of breaking the flow of the narrative and making the overarching story seem less plausible - this is the seventh book after all. Overall though it makes for a good adventure that explores a much wider setting than before, delves into the past, and builds up the overall plot that's been developing throughout the series. 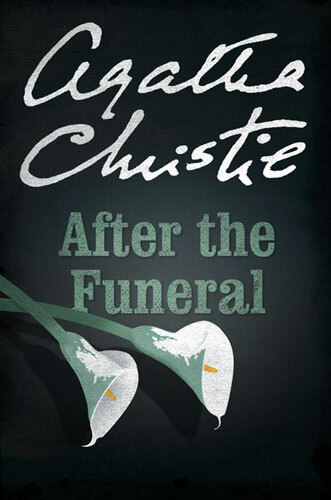 After the Funeral has some novel twists that turn it into a much more interesting Poirot investigation than I had been expecting, and it's one that I felt could benefit from being re-read to pick up on just how masterfully it has been crafted. The mystery begins with the seemingly natural death of Uncle Richard, but at his funeral one of the mourners casts suspicion that he may have been murdered, and the deceased's lawyer turns to Poirot to find out the truth. Like several of the series, Poirot is introduced quite late to proceedings and another character plays the part of protagonist for the opening chapters. 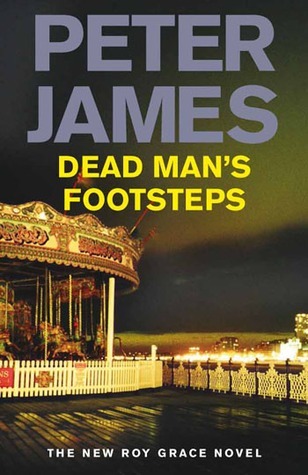 This still feels slightly uncomfortable when the point of view shifts, but it enables Christie to write a narrative that seems more realistic and which reveals more to the reader than even to her detective, yet still leaves the reader grasping at straws and not seeing the coming conclusion. 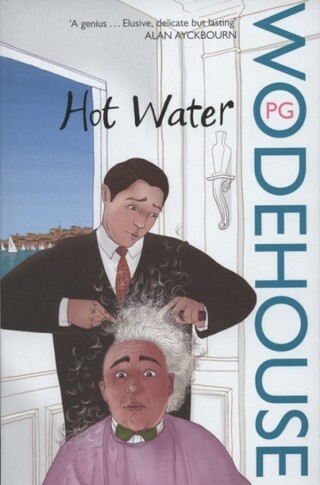 The usual comedic asides, particularly around Poirot's affront at not being recognised, seem to go a step too far in this book, and break the flow of the narrative a little more than usual. Overall though it's a good strong mystery and one which I completely failed to solve despite spotting all of the major clues. The second appearance of detective Anna Travis is much more polished than the first. When a mutilated body is found in a situation resembling an unsolved case from the 1930s, Travis is reunited with her old boss to track down the murderer. The character of Anna Travis feels much more solid in this book, more consistent and showing a fair amount of development from where we meet her at the beginning. The rest of the cast are still only lightly covered, but are more filled out than in the first book and give the resemblance of depth behind that's waiting for later books to peek through. 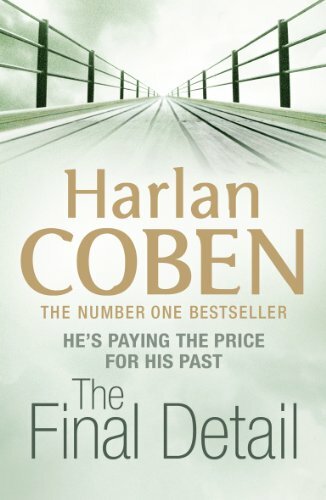 The plot is a little too similar to that of the first book, although actually I thought it was less graphic in the telling despite the crime being worse - this felt an improvement, that the author didn't feel the need to shock the reader to get across a feeling of revulsion at what was happening. It's much more of a procedural story rather than a whodunnit, but it works as a story until the end, where the final few chapters became predictable. The writing remained a little rough, feeling like it could use some more polish - the dialogue in particular didn't feel natural, seeming to avoid contractions, which kept breaking me out of the narrative. Overall though a story I enjoyed reading, and I'm glad there are plenty more in the series to look forward to. 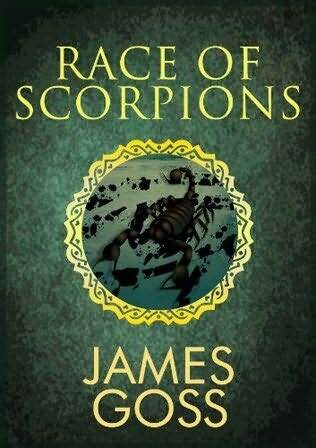 In his fifth adventure, James Adams, a teenage secret agent, and several of his colleagues are sent to infiltrate a religious cult believed to have terrorist links. As usual Robert Muchamore has crafted a thrilling and action-packed read which will easily hold the attention of teenagers of any age. He expands the cast again, and really uses secondary characters well, making them feel fully developed and far more than guest characters. It's really nice to see what's happening from so many different teenage points of view. The plot is well constructed and presents a really detailed look at how cults form and recruit. It seems clear that Muchamore has done a lot of research, and as such the book has an educational element hidden within the narrative, which is an interesting and effective way to warn readers about the dangers of indoctrination. 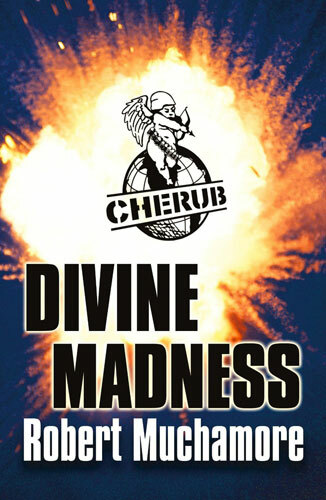 The Cherub series is one of the most entertaining things I've read in recent years and really deserves to top bestseller lists and achieve the notoriety of other high profile series aimed at a similar age group. The second novel in the Stephanie Plum series sees the bounty hunter in her second case - trying to catch an elusive bail skipper. The story feels instantly forgettable (I can't recall what happened in the first book either), and seemed to be missing an opening chapter that would have reintroduced the characters and set up the plot. The story took a while to get going and a long time for me to get into it. The chapters seemed too long and were, particularly at the beginning of the book, very repetitive, which didn't help grip me. The plot really felt that it wasn't going anywhere, and at the end I was left feeling cheated out of anything much happening, and that the characters hadn't been on any sort of journey. 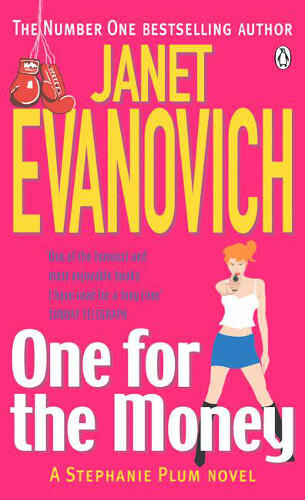 The main character is quite annoying, and the rest of the cast are equally frustrating to read about. The comedic elements felt very forced and slapstick and the male characters are entirely one-dimensional. 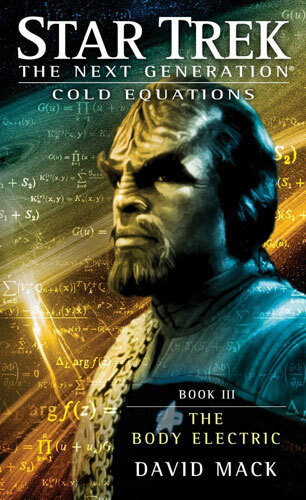 Looking back, I enjoyed the first book in the series, and commented on how well-constructed the characters and plot were. 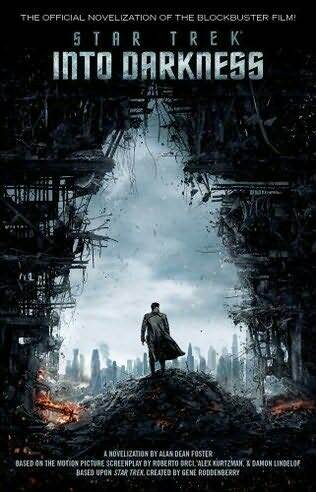 This sequel then was a terrible disappointment. I hope it's just a blip and that the remainder of the series will turn out stronger when I read them. The second Peter Diamond mystery is quite different to the first. Diamond is working as a security guard in a page shop when he tumbles into a mystery surrounding a found child. The first book had a classic crime-novel plot but was written in an interestingly different style. This one has an interestingly different plot, but reads more like a traditional novel. There were key moments though where the plot became unbelievable, and I found it hard to stay engaged, particularly through one large deus ex machina which makes the rest of the plot work. Having said that, it's where this plot device kicks in that the plot starts to pick up the pace and get interesting - it starts very slowly, and I wondered for a while whether the slow pace was going to continue throughout. There are some interesting character moments in the first half, but it doesn't make up for the unequal distribution of action. This novel really didn't grip me as well as the first, and I'm not sure at this point whether I'm going to continue reading the series. 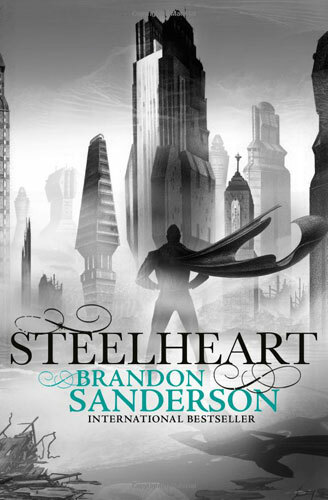 In Steelheart, fantasy author extraordinaire Brandon Sanderson tells the tale of David - a young man from Chicago whose father was killed by a human with superpowers, and David is out for revenge. As usual, Sanderson has created a rich and detailed world, and a magic system to live within it. Unlike most of his stories though, this one doesn't really tell us much about how the magic system works, focussing more on the characters and action. David is a compelling lead, who we follow on an interesting journey through the novel. Some of the other characters feel rather flat though - the first-person narration not fleshing them out as well at it has in some of the author's other works. The plot is what really makes this book sing, moving nimbly between action and introspection in a way that compelled me to keep reading. There were plot devices that I could see coming, but also some that took me completely by surprise, and I found the whole tale very enjoyable to read. William Boyd's entry in the James Bond series is likely to appeal to two groups - fans of Ian Fleming's original literary works about the British secret agent, and fans of the cinematic escapades based on the same character. My immediate feeling was that neither would be satisfied, but actually I found it to be a good Fleming-esque read. The story is set in 1969, following the original Bond canon and disregarding the many novels written by other 'continuation' authors since then. This felt a much better decision than that of Jeffrey Deaver, the last author to tackle Bond, who rebooted the series into the 21st Century. 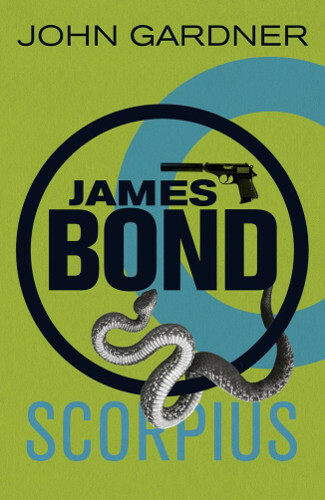 Bond, a character quite recognisable to a reader of the Fleming originals, is sent by M to an African country to stop its civil war, and from there things spiral in a complex and unpredictable manner. The plot felt, particularly in the first half, like it was following well the Fleming style, but then Boyd pours on layers of complexity - probably too many - which makes the end of the novel awkward and anticlimactic. For the most part though I think that Boyd has managed to capture the James Bond spirit without turning it into parody. 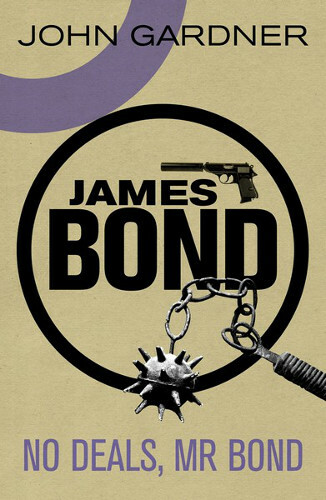 A Bond novel that I think can appeal to both fans of the literature and cinema adventures. The eleventh book, and the NUMA Files are feeling a little tired. This one tells the tale of Kurt Austin's adventure down under, and seems to miss the original idea of this series being about the four-piece ensemble group - having just one main character makes it fairly indistinguishable from the original Dirk Pitt series that it span off from. The book starts well, with a thrilling opening followed by a mediocre first half in which the characters drift and try to explain a rather fantastic plot device which seems like something from a 90s Bond film (along with some of the characters). The second half turns into more of a run-of-the-mill thriller and actually picks up. I felt there was a missed opportunity in this to take the characters deeper, as they were in some of the recent books in this series. I felt like it wanted to just be a mindless thriller, and not something that would fit in with the Clive Cussler tradition of exploring technology and telling the reader something about the world. Overall, I felt disappointed. 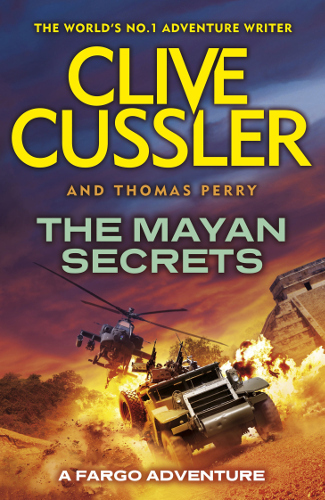 I've been a devoted Cussler reader for many years and the recent novels have been of varying quality. While this one had its moments of excitement, it doesn't make up for the trip into pseudoscience-fiction. That third Harry Potter novel is one that I must have read a dozen times, and until now, rereading it with the Pottermore website alongside, I've considered it one of my least favourite entries in the series. 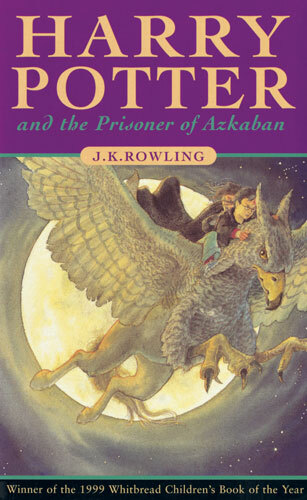 The story covers Harry's third year at Hogwarts, which is overshadowed by the escape of Sirius Black from the wizard prison, and attempts to keep the school, and particularly Harry, safe. It's probably the first entry in the series that works to set things up properly for later books, introducing a number of vital characters and plot devices. The plot of this entry works well, and is significantly different from the first two books, which is probably what put me off a little when I first read it. There's a lot to learn and the characters actually start to develop. My memory was of quite a slow plot and an overly long last few chapters, but that's not what I found in this reading, with the climax actually taking up a much smaller page count than expected. So on this reading, punctuated by Pottermore moments between each chapter, I've enjoyed it more than previously, but it's still not my favourite book in the series. Harry Hole's eighth adventure sees the reluctant detective dragged back to work to investigate an apparent serial killer (again). It's odd how rare they are said to be and yet how frequently they turn up. The book feels very long, and the way that the plot develops becomes annoyingly repetitive. The opening is surprisingly graphic - I always forget between readings that Jo Nesbo's novels are so violent, and yet this isn't kept up through the rest of the novel, which I found quite reliving as the first chapter almost put me off the book (and indeed, I went and read something else before coming back to continue). Otherwise it starts well, re-introducing the characters and the ongoing repercussions from the previous novel. The story started to drag around the halfway mark, and I found I wasn't motivated to continue at the end of each chapter - again I had to take a break to read something else before returning. The end picked up, and I found myself enjoying the story again, and was left, as usual with Nesbo, ready to pick up the next novel in the series. This book sees a selection of new supporting characters being introduced, and I wasn't particularly impressed by them. Several seem to be repeats of characters from earlier in the series, and I found it odd that having written those roles out, Nesbo felt the need to bring them back in a new body. The main character, Harry Hole, develops well in this outing though, and gets to go on quite an emotional rollercoaster. His journey is actually what I found to be the most interesting part of the story, and he grows beyond the meme of the alcoholic work-obsessed police inspector. Overall, the book definitely has its ups and downs, but on reflection I think it stands as a good entry in the series, and it's not put me off looking out for the episodes I've not yet read. 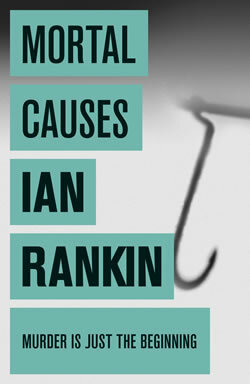 Book six of Ian Rankin's Inspector Rebus series is set during the Edinburgh Festival, where, as you might expect from a book of this genre, a body is found. It's an interesting tale, but the plot felt a bit muddy in places and I wasn't entirely sure how the various threads wove together. I didn't feel that this novel had quite the same grasp on the characters as I've seen in earlier novels. Rebus felt flatter - he'd lost some of the interests, some of the depth of previous incarnations, and his personal life seemed to have gained a touch of black comedy. The supporting cast seemed almost forgotten - existing just to add a few lines here and there - and replaced by newcomers, the torrent of whom was slightly overwhelming. Of course having said that, the same was true of an earlier novel set in London, but it felt more out of place here. 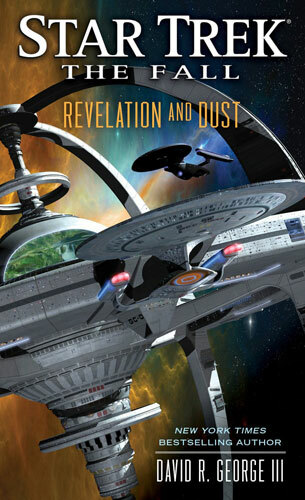 The plot did come together in the end, and looking back makes a fairly clear picture, but it still feels like it was a point looking for a story that drove this novel, rather than the story being central. There are so many facets and the narrative (and indeed the character) jump between them so often it became hard to keep track of who was where, what they were investigating, and why it was even relevant. Overall though I did enjoy reading it, and one book that feels slightly out of place in the series certainly won't put me off carrying on reading them. I was also slightly baffled by the cover of my copy, which from a distance looks like simplistic line art of a horse's head, but when examined closely with knowledge from the story is much more sinister. 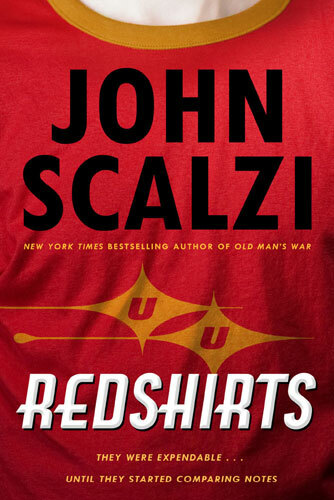 An avid Star Trek fan, Redshirts is the first of John Scalzi's novels that I've read, and il have very much enjoyed it. 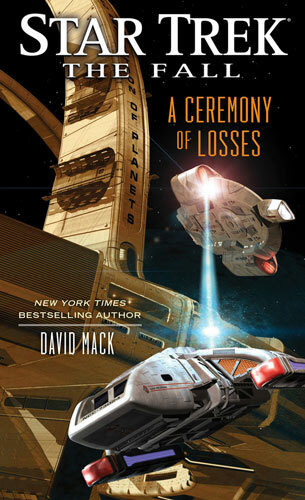 The story follows Ensign Andrew Dahl as he's assigned to the fleet flagship and notices a worrying trend with the junior ranks in away missions. The story was as much fun as I had imagined from what I had heard of it in advance, although the plot went down a route that I wasn't expecting. 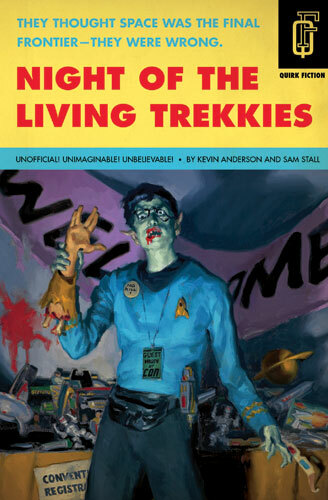 The humour is shiny and shows off a deep knowledge of Trek-like shows which are lampooned in a cosy and loving manner. I found the ending a little weird, with the main body of the text coming to a halt much earlier than I had expected, and three fairly chunky codas following. However I thought the codas interesting and a good way to round the plot off with a nice satisfying conclusion that didn't feel forced or lacking. Overall a very enjoyable one-day read that's encouraged me to look out for more of Scalzi's novels when I'm next on a book-buying spree. 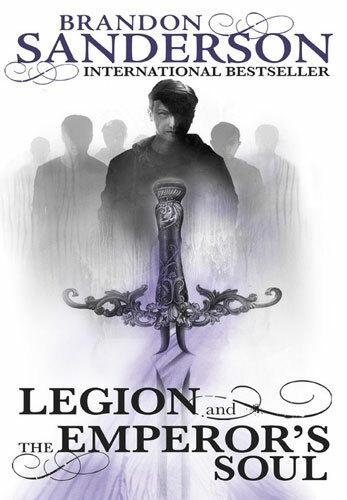 A fairly short novella that I read through in a couple of sittings, Legion is the first-person tale of a young man whose many hallucinations are characters in their own right. It's hard to explain, but makes perfect sense as you read it. The narrative style reminds me a lot of Sanderson's earlier Alcatraz stories, though this seems targeted at a slinky more mature audience and doesn't have quite the same irreverent tone. 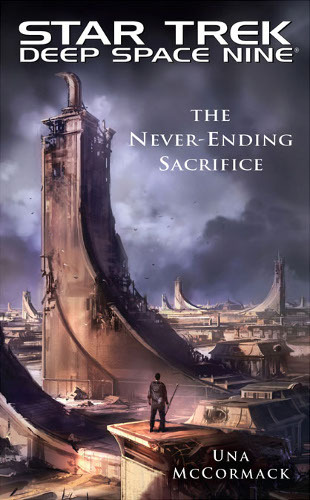 While it lacks some of the more detailed world building that's common in a lot of Brandon Sanderson's works, the character and his situation are explored well, and the plot seems somewhat secondary to this. I found it a fascinating tale and hope that there's more to come from such an interesting idea. 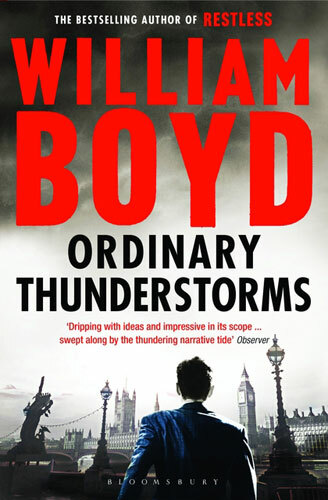 I spotted this and picked it up cheaply after hearing that William Boyd would be the author of the next James Bond novel, and despite concern that it would be too literary for my tastes actually enjoyed it. The story follows Adam, who accidentally stumbles across a murder scene and finds himself cast into the role of prime suspect. 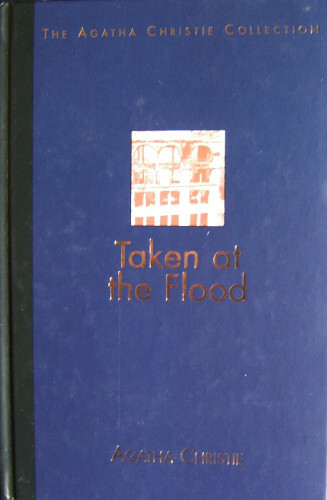 It's a captivating story that fits the metaphor of the book's title well. The world Boyd paints is that of London with an excellent and contrasting portrayal of different aspects of life in the city. 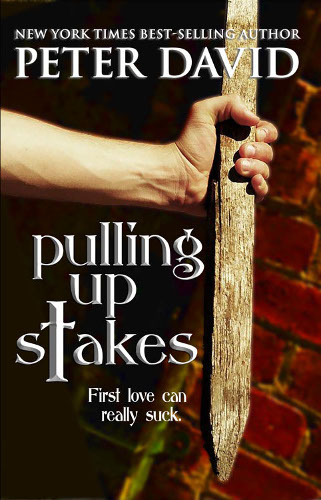 The characters are varied and rich, and although I most enjoyed the chapters spent with Adam, the other points of view were well fleshed out and really thrust the reader into their world. One thing that didn't quite flow for me was the passage of time. Whether it's an effect of my reading style or the writing I'm not sure, but the book felt more like a narrative happening over a couple of days, whereas it's clearly meant to be months long. 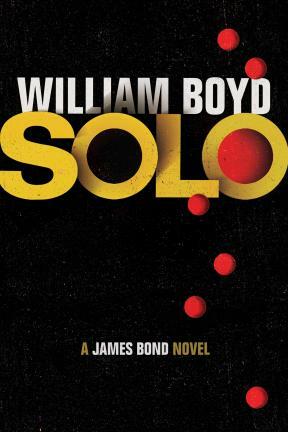 I was surprised by how much I enjoyed reading this book, and am now looking forward to Boyd taking on Bond - the opening of this book especially reminded me of Ian Fleming's writing and I think Boyd has been an excellent choice. I'm sure I'll pick up more of his novels in the future too. Another short story about the young Jack Reacher, this tale focuses in on the character as a sixteen year old visiting New York and typically getting mixed up in something. It's a good short tale that reveals a little about Reacher's background, and kept me entertained on a 45-minute train journey. The action is just like that in any entry of the main series, though the pace much higher to suit the format. 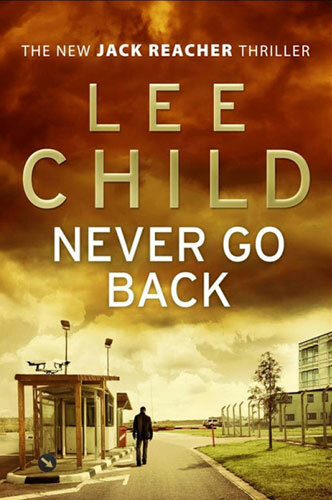 Ultimately though I didn't feel it was as strong as the pre joys young-Reacher adventure and it felt more like a quick prequel than a proper character piece. 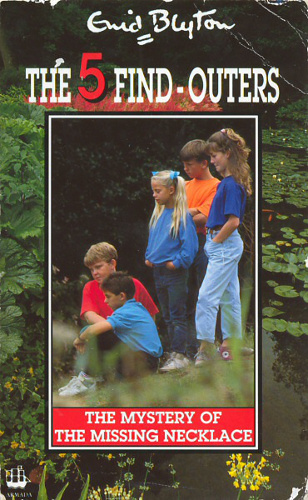 Enid Blyton's mysteries follow the Five Find-Outers, in this book joined by Ern, the nephew of their nemesis PC Goon. 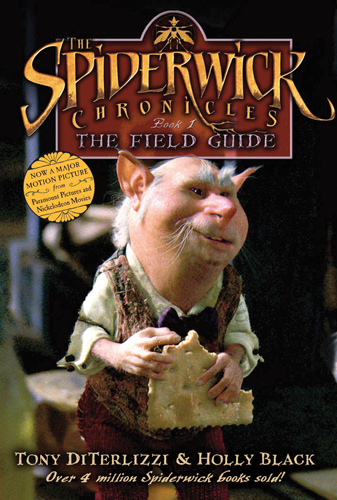 Ern takes a leading role in the story, along with Fatty, to the detriment of the other characters who almost blend into the background and lose their individuality. It's an interesting adventure packed with action, but as a mystery it's not one of the stronger entries in the series, with the plot seeming to come together by accident rather than any real detective work. 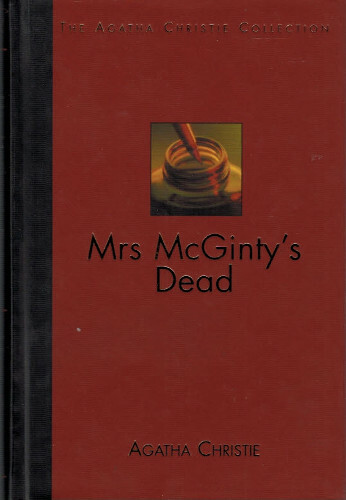 I still love the series, and think its a great introduction for younger readers into the vast array of detective novels available. 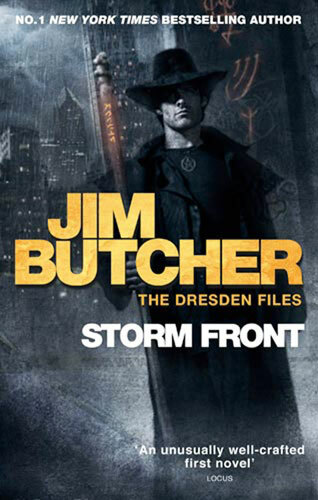 Storm Front is the first book of the Dresden Files, about a wizard turned investigator in Chicago. The narrative is presented in the first person, and while the text feels a little rough at the edges it's a good first novel with a fair amount of promise. The main character is an interesting chap with unsubtle hints of a troubled past that's clearly being set up for later exploration. The others though seem rather superficial and at least one seems to lack motivation for her actions. Plotwise, I found the tale only mildly entertaining and it never really made me feel desperate to continue reading. The world isn't given a solid grounding at the beginning and new elements are thrown in all the time without a framework - this makes them feel like deus ex machina, even if they aren't, and it would have felt more natural with some stronger set up of each plot device. I wasn't convinced while reading this book that I was going to continue on to the sequels, but having finished it I think I'll give the next entry a go. The third book in Christopher Broomyre's serious crime series following private investigator Jasmine Sharp and her police counterpart Catherine McLeod delves more into the characters' pasts as a familiar character is arrested. Although the plot was solid throughout and the characters interesting, it felt too much like just another crime novel and didn't have the Brookmyre spark that I've come to look forward to. A large proportion of the story is presented in flashback, as is often the case in Brookmyre's writing, but in this case I found it surprising that there was so much still to learn about characters we've already spent two books with. It felt quite like it was wrapping things up, and that everything we haven't yet learnt was being thrown at the reader rather than drip-fed, and as such seemed like it might be the final entry in the series. 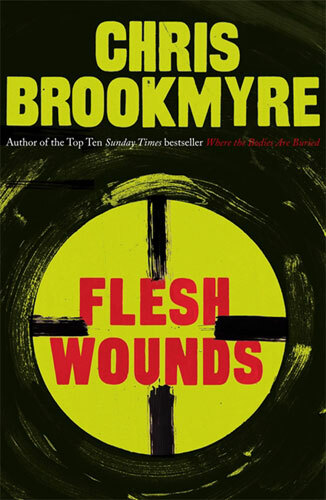 Overall, it was okay, and there were some places that the humorous violence of Brookmyre's earlier work pokes its head through, but I didn't connect with it in quite the same way. 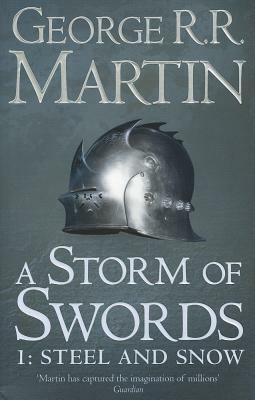 Book three and a half of A Song of Ice and Fire is really the second half of the third book, but I've read it a few months after finishing the first half, and thought it worked well on its own, being a length that felt more manageable to read in one go. This is a really action packed episode in the story, full of unexpected twists and events that really shake up the ongoing storyline. I love how unpredictable the plot can be and how Martin can play with my perceptions of each character throughout. I found my criticisms of earlier novels in the series swept away - the pacing was perfect, the points of view more at good intervals, and there was never a moment that I didn't want to dive straight into the next chapter. 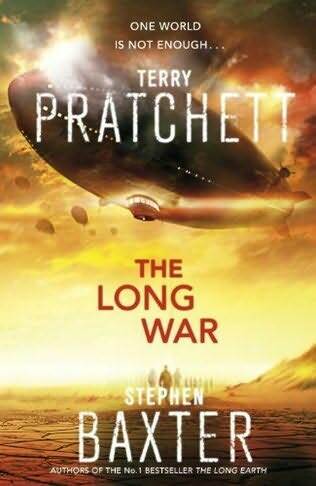 This is probably my favourite entry in the series so far - it brings a lot of character and plot, and if the following novels are this good, I'm really looking forward to reading them. 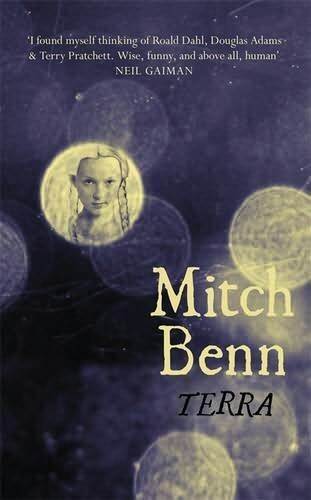 Mitch Benn's first novel is as delightful as its main character - a young Ymn (human) girl brought up by a good natured alien scientist. It's an interesting set of observations that combine to create an enthralling narrative that I just couldn't stop reading. I knew of Benn's work on Radio 4, and so was expecting humour. The book maintains an edge of lightness throughout, although I felt that the humour expressed in the opening chapters, reminiscent of Douglas Adams, lessened throughout as the story became more dramatic. It's a great hook, but something I felt wasn't maintained throughout. The alien society that Benn has created is fantastic - alien enough to be convincingly different yet still easy to identify with. It feels like something to aspire to, and throughout the book the narrative peels back layer upon layer to reveal more about this world. My favourite thing though has to be a character whose personal storyline has little to do with the main plot but adds little touches of lightness all the time. I really enjoyed seeing that character's story weave through and hope to see more of them in the promised sequel. The third adventure for Theodore Boone surprised me by being much better than the first two. Boone, a rather goody-two-shoes middle class American child, son of two lawyers, finds himself the number-one suspect in a burglary. 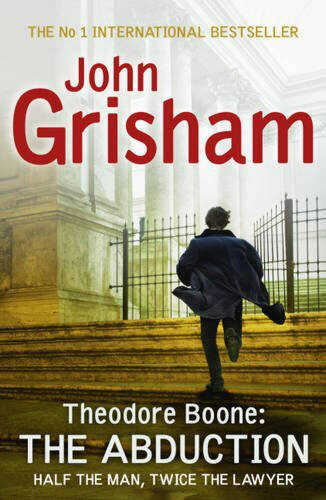 The plot is really strong - more so than some of Grisham's books for adults even. Although the slightly pompous and unappealing life situation of the character is still there, it's lessened compared to the previous books, and feels less like a lecture on how children should behave. There's action and mystery on top of the legal focus, which makes this much more entertaining than its predecessors. 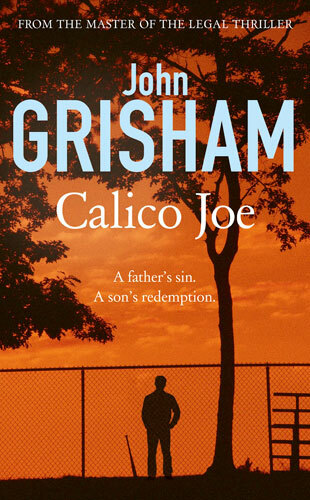 I hope Grisham keeps it up for the series going onward. 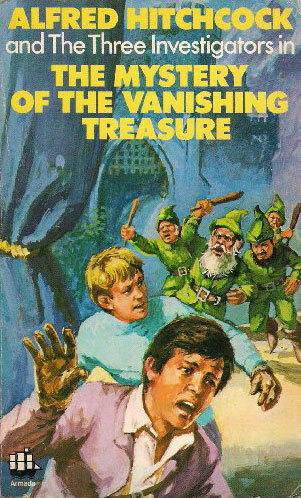 Book five, and the Three Investigators are not only witness to a jewel theft, but sent a mystery by Alfred Hitchcock - to investigate gnome sightings in California. 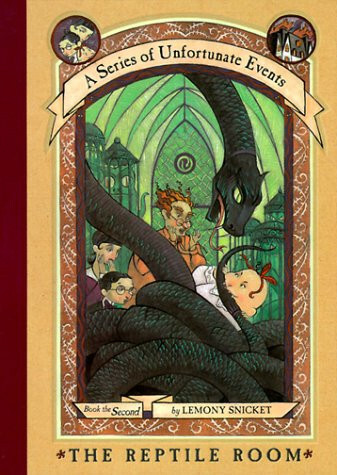 I remember the cover image from reading this book in my school library, but the plot as I re-read it as an adult didn't ring any bells, and it was great to read a story in the series again without knowing where it was going. The action is plausible, and the plot believable, which I always think is a bonus in a children's book - it shows that mysteries can be solved with the application of a little brain power and that the supernatural normally has an explanation (in fact, this one reminded me a little of Scooby Doo in that respect). An excellent mystery which I've really enjoyed. Once the truth about the book's author was revealed I got my hands on a copy as soon as I could, and it doesn't disappoint. 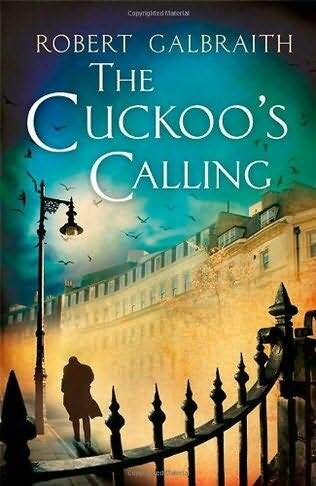 Robin's latest temping assignment is her dream job, working for Cormoran Strike, a private detective hired to prove a suicide was in fact murder. The style of writing is familiar and relaxing, though I doubt I would have been able to guess the secret identity of the author. The whole cast of characters is one of the best I've read about for a long time, with every single one seeming to be thoroughly defined and individual, and each are given sufficient page-time to shine. The use of two main characters is an interesting twist - at the start I thought it would be more like the tradition of Sherlock Homes or Hercule Poirot stories, where the narrative is from a secondary point of view, but the focus quickly shifts to the detective himself. I was a little disappointed that Robin didn't feature even more, as she seemed like a strong enough character to have been able to carry more of the narrative. The plot is strong, and reminded me of Christopher Brookmyre's writing for some reason, though it's not particularly similar. 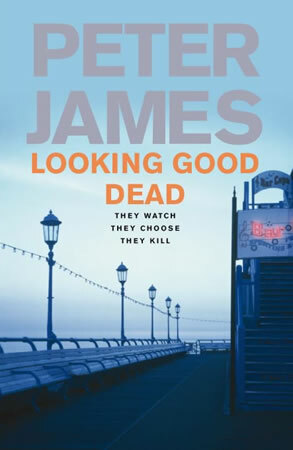 There's not a lot that's new for the genre, but unlike a lot of 'serious' crime novels the writing seemed approachable and less formal - the book could appeal to anyone, not just fans of crime novels. Overall though it didn't quite stand out enough for me to give five stars. I didn't get the feeling of unputdownableness that sometimes strike me in a book, and it didn't excite me as much as others have done recently. I did enjoy it though and hope that this is the beginning of a series that I can enjoy for years to come. The third and thankfully final book in the His Dark Materials trilogy completely failed to grip me, to the point where I had to give myself a reward of reading a chapter of another book after each chapter of this one. 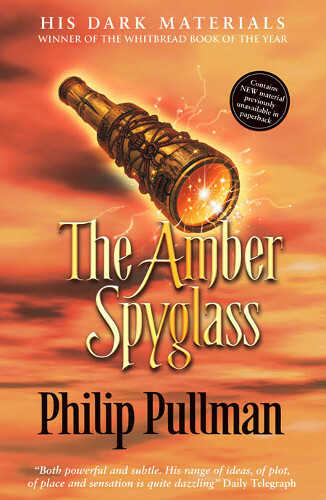 The Amber Spyglass sees Lyra and Will separated, as Will and the other diverse array of characters travel their separate routes towards a rather lackluster conclusion. The writing style is awkward, with language that feels much more dated than I thought appropriate, and nothing that gave me an urge to continue. Similarly the plot seemed lost and wandering in circles for much of the book and it didn't feel like a self-contained narrative at all. What I did enjoy was the world-building that Pullman does to create a world of diamond-shaped creatures, and particularly the society of the Mulefa. I previously found the worldbuilding to be the best elements of the first book in the series, and when creating another world here he is at his best. Overall though I found it dry and tedious. My decision not to read the trilogy when it was originally popular was clearly the correct one, and I'm glad it's now over. The third Roy Grace novel sees the detective baffled by a mystery that the audience is let in on at once when the chief murder suspect seems to have a cast iron alibi. Grace is really growing on me as a character who is evolving from book to book, and the text certainly gives l the impression that the author has a long term plan. There's an ongoing storyline set around the individual entries in the series and I'm enjoying learning more with each book on top of the individual stand alone storylines. The style is clever - by allowing the reader to see events from a variety of well-written and distinct points of view the author gives an edge of realism and believability to a plot that might otherwise seem implausible. Elements are successfully built one upon another to lead up to an exciting conclusion. 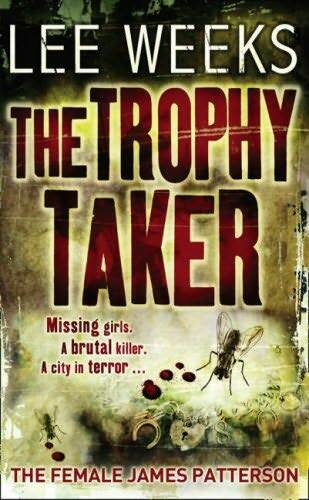 A good read which had me hooked despite the number of dead insects that a previous reader had filled my copy with! No Deals, Mr Bond has to rate as one of the worst titles in the series, which is a shame as it's one of Gardner's better novels. I've found the first five to be variable in quality, but by his sixth Bond story, Gardner seems to have got a plot that works and a grip in the character he wants Bond to be. Two former undercover agents have been killed and M asks Bond to protect the remaining three members of the team. It's a basic and believable story with little reliance on ultramodern (for the eighties) technology or gadgetry, skips over the aspects Gardner's vision of Bond dug into in the previous novels, and is much more like something Fleming would have penned. Bond still lacks some of the depth of character that Fleming gave him, but at least doesn't seem to contradict the original character. There are moments where Bond's apparent age flickers between his thirties and sixties, but it's hidden well and easy to suspend disbelief of this minor aspect. 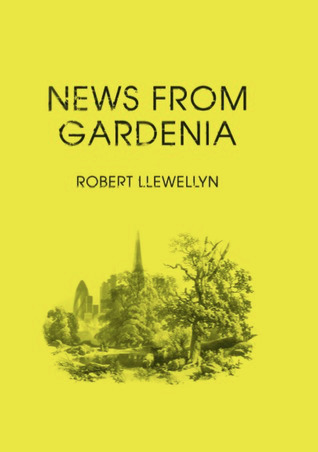 A good adventure, and if the rest of Gardner's novels follow the style of this one then I'll be very pleased. 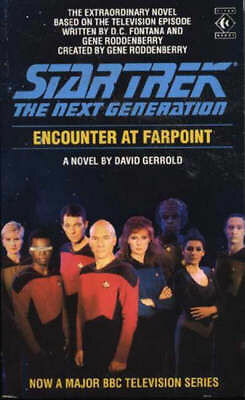 The sequel to the authors' The Long Earth sees the same group of characters set out on a variety of quests throughout a landscape of parallel worlds as various factions emerge. My memories of reading the previous novel only twelve months ago are a little patchy, but I found this didn't matter and this sequel could probably be read on its own. The basic premise is explained quickly and straightforwardly, although some of the character relationships might not be so obvious. It's much solider science fiction than usually emerges from the pen (or dictation software) of Terry Pratchett, but the typical style of wit and amusing references from his other works is clearly present. It's not the toughest of science fiction to read and would be very approachable for a reader who does not frequent the genre. The beginning and end made for addictive reading and, despite a slow middle section that reminded me of the dragging sections in the first book, I really enjoyed it. I found myself reluctant to pick up book two in this series after having mixed feelings about the first, however I thought that the story and style has improved making for a much more enjoyable tale. Three orphans, fresh from the disasters of the first book, are sent on to be fostered by a distant relation who keeps reptiles, but its all downhill from there. As the cover suggest, nothing really goes right for this family. Where the first book was depressing, I thought this one was more humorous and entertaining, and although it deals with death and misfortune, it's not in a way that comes across as scary. The humour is certainly the emphasis. The sixth book in the Myron Bollitar series follows closely on from the fifth, as the character deals with the repercussions of his actions. As such, it feels deeper and more emotionally real than the previous novels, while retaining the disconnect from reality that gives the series its entertainment value. 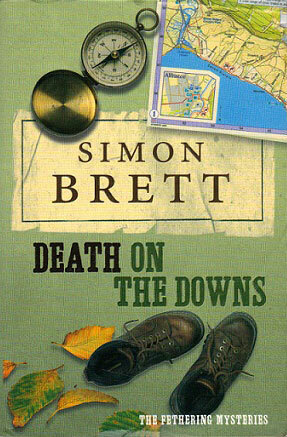 The main plot follows Myron as he tries to help his business partner, who has been arrested on suspicion of murder. 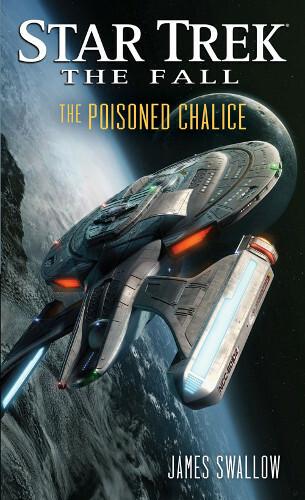 It's much more of a classic whodunnit than the series to date, and the plot is more realistic, lacking some of the more unbelievable types of scenes and action that the earlier books were littered with. The narration retains its informal style - sometime too informal I felt as there are occasions where it breaks the fourth wall, which feels uncomfortable, particularly as it's not all the time. The characters also all seem to be becoming more rounded - it almost feels like the author has become bored of the simplistic nature of some of the earlier books and he's trying to turn the series in a new, more series, direction. 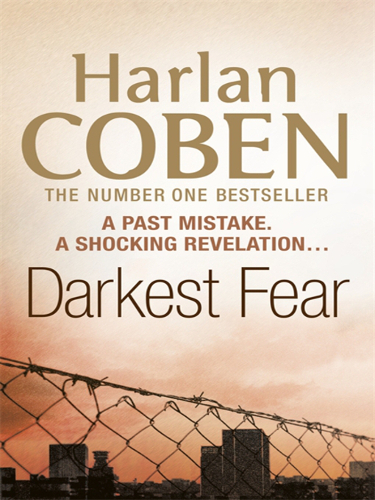 Coben's work is pure escapism and I enjoyed reading it - it's a nice contrast with a lot of crime stories that are written to be realistic and can get hard going after a few in a row. The third book in the Rain Wilds Chronicles and twelfth overall in Robin Hobb's Realm of the Elderlings series feels shorter and much more character focussed than most of the earlier books. Rather than following a quest, as many of the other books in the series have, this book follows the daily lives of the characters from the previous two novels as they continue from the point these books brought them. It makes some interesting points about prejudice, society and childrearing, and the ensemble cast makes the drama feel more real and rounded than ever before. The plot feels simple despite the array of threads that run through the book, and for the most part each is split into its own chapters, although there are some where the narratives are intertwined, which is a nice variation. I really love the asides between chapters that Hobb uses to expand the world in which her stories are set, and they provide a humorous and interesting companion to the main story. While it felt a calmer story, I was really hooked by this book and can't believe how quickly I read it compared to some of Hobb's other books. I really enjoy spending time with these characters and hope that Hobb will find more stories to pen once this one is complete. 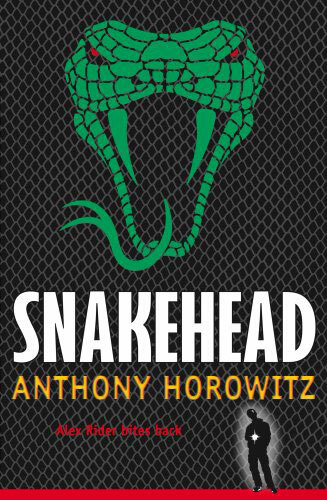 Following directly on from the end of the previous novel, Alex Rider accidentally interrupts a kidnapping attempt and is once again drawn into the world of secret agents that he longs to escape. It's a great thriller and one of the best in the series, which has improved as it's gone on. This entry in particular feels a lot like a James Bond movie, almost straying into parody in places, and is a little more brutal and graphic than the earlier books in the series. The action depicts some violence and a considerable amount of threat, that may not be considered suitable for the youngest readers. 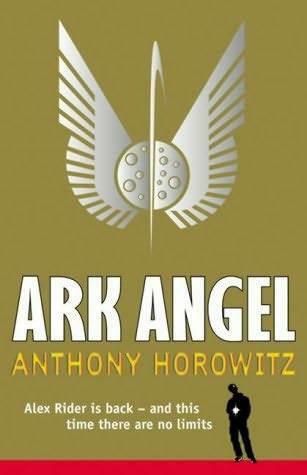 Horowitz does well to keep the plot grounded and believable, and even when it seems like the story is going to jump the shark his writing keeps it feeling just authentic enough. It's clear a lot of research has gone into the book and I found it one of his most enjoyable stories. The first book in the Johnnie Mann series was passed on to me by my mother-in-law, and I was unimpressed. The story is based in Hong Kong, and follows police officer Mann and a variety of other characters, as he investigates several murders. It's a fairly graphic narrative that didn't draw me in. 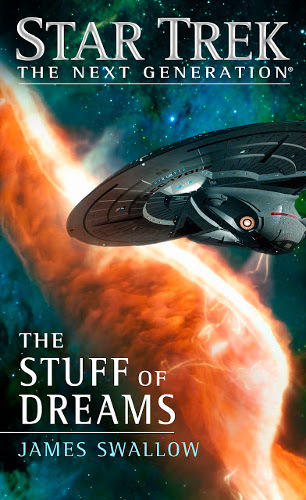 The writing style is bland and hard going - the first half of the book moves incredibly slowly, with time passing sporadically and the plot failing to advance. The second half sees the speed ramped up to the max, skipping over detail and charging through the action. The narrative is awkward and the dialogue seems forced and unnatural, particularly where placed into the mouths of certain characters who we are presumably meant to look down on. The characters are dull and in many cases implausible and/or incompetent. The work of the police force feels unrealistic and incredibly amateurish and Mann himself comes across as something of a super-human. His character is almost too complex, with several aspects that feel thrown into the mix with no real thought, and his lack of growth is frustrating. I was not impressed nor entertained by this book, and found myself finding other things to do rather than continue reading. If Lee Weeks is the female James Patterson, as the cover claims, then I'm glad I've not bothered to read any of his works. Brandon Sanderson has done it again. In The Rithmatist he creates yet another rich and detailed fantasy world, in which a segment of society has the power to do battle by drawing chalk patterns around them. Joel is not one of them, but wishes he was. Instead he finds himself drawn into an investigation after a Rithmatist disappears. The author's skills in world building really shine in this novel - simple enough for any reader to understand everything they need to, but complex enough to be believable and to tease the reader with more detail in every chapter. 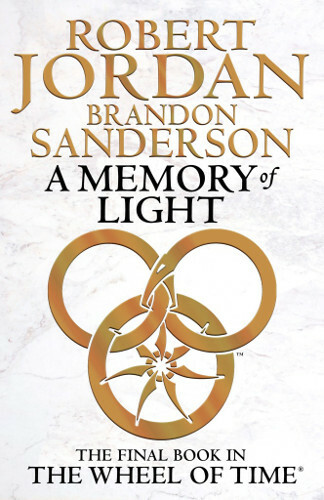 The characters are strong and varied, as usual in Sanderson's stories, although one feels very similar to a character from his earlier Alcatraz series. If one were so inclined there could be parallels drawn with the Harry Potter books (although that could be said of any fantasy book set in a school), though the slight similarities fade throughout. 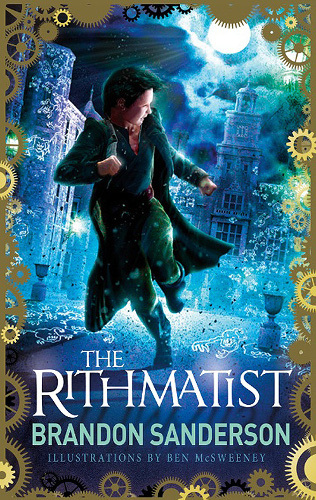 Sanderson's skills continue to enthral me, and this is a book that could appeal to a reader of any age. The illustrations offset the story nicely, and help explain some of the concepts more easily than the words. Absolutely great. The first Anna Travis story sees the young detective sergeant assigned to her first murder case, investigating a series of seemingly connected crimes. The novel is gripping though quite graphic in places, and there's perhaps too much flipflopping. The characters are interesting, although a large quantity of the supporting cast go unexplored, with the focus being on just three characters. While these three are well developed, the reader spends the majority of the story aligned with Anna Travis, whose emotions seem to flicker around from one thing to another with much greater frequency than seems plausible. The narrative follows an interesting course, and it's certainly not in the form of a whodunnit, being much more psychological. The opening and ending surprised me by being quite graphic compared to the rest of the story, but not too much to put me off. 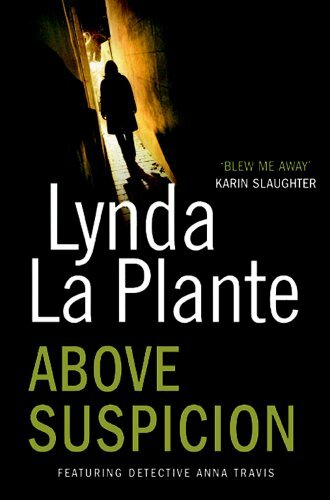 This was the first of Lynda La Plante's novels that I've read, and while I thought the style was fairly rough I'm certainly planning to return for more. I was a little nervous about picking up the first novel in the Stephanie Plum series, it's lurid pink cover hinting that the contents might be somewhat more girly that my usual taste in fiction, but I was pleasantly surprised. The characters are well-rounded and believable, and the action is well paced and depicted well. Plum is single, short of cash, and willing to take on almost any job, when she's offered a shot at being a bounty hunter - a local police officer turned murderer has skipped bail, and there's ten grand in it for her if she can get him back. It turns out to be a fascinating look into the world of bounty hunting, and a great story full of twists and turns. 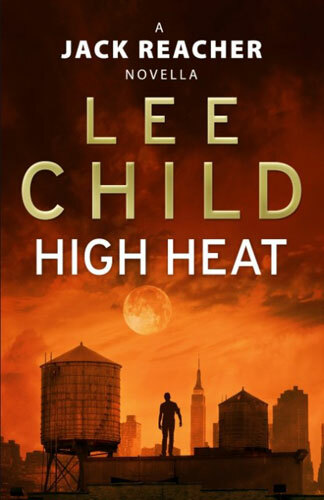 The characters are great, and reminded me of Lee Child's Jack Reacher series. Plum is independent and strong, yet retains femininity and enough weaknesses to keep the story believable, and she's surrounded by a cast that brings humour as well as plot devices. An excellent start to a series that could easily appeal to a reader of any gender - I certainly plan to continue reading. 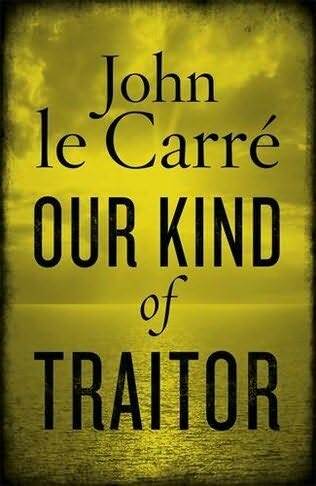 This is the first John le Carré novel I have read since childhood, and it certainly exceeded my expectations based on vague memories of half-read books and from the 1980s or earlier, and the recent film adaptation of Tinker, Tailor, Soldier, Spy. The story follows a young British couple whose make-up or break-up holiday in Antigua is interrupted by a demand to play tennis from a suspicious Russian with a mysterious family. The couple are the main focus of the narrative and much is told from their perspective, although there is a random third point of view that appears halfway. The style is interesting, as a lot of the story is depicted in the present tense, with sections told in past tense as some of the characters relate their adventures to others. This helps build up the tension throughout the opening chapters and introduces the reader into the story in a compelling way. Towards the latter stages though I felt that the plot lost some of its tension and urgency and it drifts slowly towards the conclusion without sense of direction. Though the plot still felt plausible, it seemed to lose the attachment to the characters and their development had come to an end too early. Overall though a refreshing and appealing revisit to le Carré's works that has encouraged me to seek out more of his recent output and delve back into his back catalogue. When a body is found in a lake late one night, Superintendent Diamond is called in to lead the investigation, despite a pending review of his handling of a previous case. The first of Peter Lovesey's novels I've read, this is a really interesting way to present a crime novel. 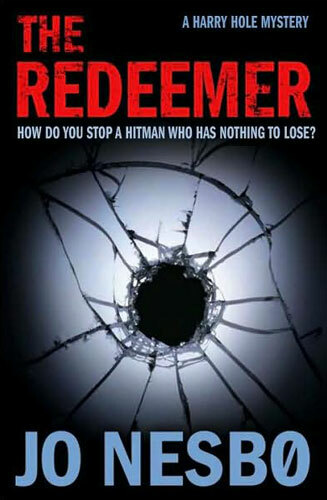 The plot is well paced and makes for addictive reading. 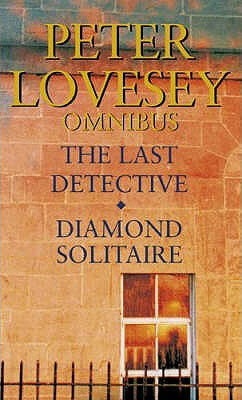 Lovesey's style is unique, in that while most of the narrative is told in the third person aligned with his detective, two significant chunks of witness statement are presented in the first-person, which really shows off a talent for capturing the characters' individual voices. As an investigation it is far from clear cut and the twists and turns keep coming. I had a slight suspicion of how it might end and actually was not incredibly satisfied by the final conclusion. Similarly there was one twist that I didn't see coming and that seemed a little forced, throwing the narrative into a bit of a time warp throughout the later stages of the story. Overall I was impressed by this novel despite some trepidation I had felt before about starting on another crime series. I'll definitely be following up by reading the sequel in the near future. 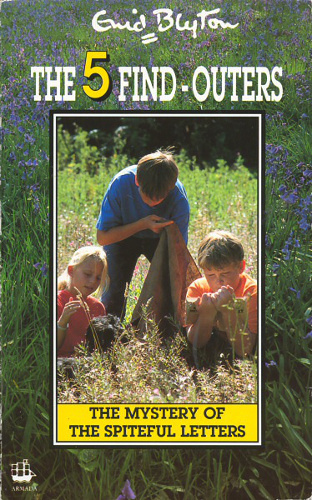 The find-outers' fifth mystery sees them occupy the end of the summer holidays trying to crack the investigation that PC Goon is clearly chasing. Unlike some of the earlier stories, this book felt less dated, although I did notice that my copy had been 'updated' so the characters use decimalised currency. I wonder if later copies have taken inflation into account as well? A good mystery for children with a number of opportunities for the reader to try to work things out before the characters. 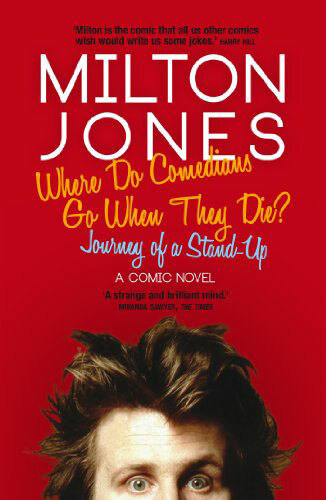 A lot of comedic moments throughout make this a light and enjoyable read. The first book in the Anita Blake, Vampire Hunter, series introduces the reader to the first-person perspective of the title character - a fairly ordinary young woman with a slightly unusual job - as she's hired by an unlikely client to solve a string of murders. Its an interesting world that Hamilton has created, in which the paranormal is just normal and accepted as part of society, which serves in part as a metaphor for discrimination. Mostly though it's a bit of a romp, though without the campness that some vampire-themed series evoke. The plot is complex enough to stay interesting while really not doing very much. As a mystery story it's not really got the weight that I like and the investigation seems to be pushed more by the various supporting characters than the investigator. As a paranormal romance - which it clearly claims not to be - I think it would be quite acceptable. There's enough kissing and romance-related commentary from Anita that this aspect over dominates the narrative and weakens the overall effect, though it doesn't go anywhere near the extremes of some more recent vamp-romance novels. While it certainly wasn't a bad book, I don't think that I'm the target audience and I'm not enthused by it enough to immediately consider buying the sequels. A fun but all too short story of three children in difficult circumstances who find something interesting sharing their new home. There seems like plenty of room to explore in later stories, and that is my one criticism - the book goes to quickly and feels more like it's written to set up a series rather than as a story in its own right. Interesting and entertaining for the younger reader, but probably not something I'll follow up on. The seventh Harry Hole mystery is finally his chance to shine on home turf, as it seems a serial killer is going after women in the Oslo area, and leaving snowmen as calling cards. The story is full of twists and overall this is probably the bet book in the series so far. My main criticism would be that there are too many characters to get your head round, particularly in the police. I'm sure this isn't helped by their having Norwegian names that I'm unfamiliar with (but that's fair), but also because so many of the names seem to begin with the letters G and H.
The twists are what make this book, although there are several that could be seen coming from a long way off. The volume of clues and red herrings is surprising and shows that a lot of thought has gone into constructing the plot. 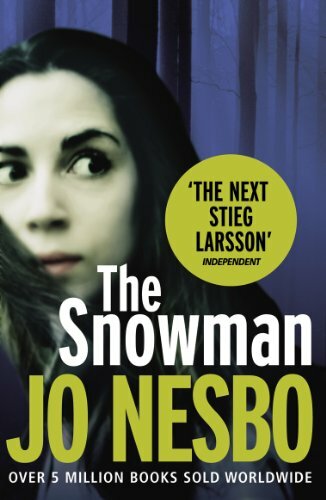 I think the series has been growing upto this point and Nesbo is certainly into his stride with The Snowman. I look forward to reading more. 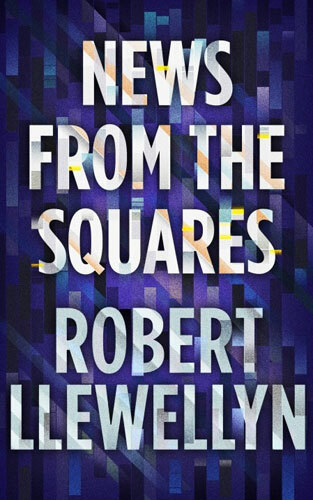 The fifth Rebus novel admits in its introduction that the author has realised that this is now a series, and its clear from the narrative as an array of characters return from previous novels, and the regular cast is rounded out with a number of new allies and antagonists. If anything, it almost reaches the point where there are too many characters to keep an eye on, and several times I found myself struggling to remember who one was. The plot is remarkably simple when you wrap your head around it, as Rebus's team maintain a stakeout with Trading Standards and investigate a random stabbing. There are a lot of elements and twists which blend together well to create a satisfying mystery. 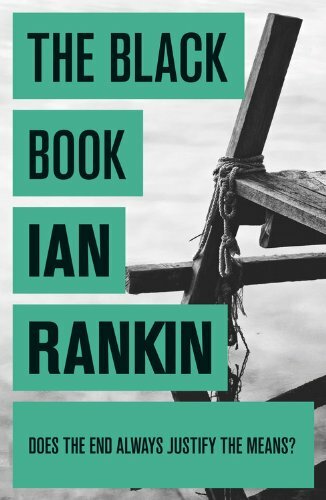 The story of Rebus personal life also continues and is actually one of the most fun aspects of this book, as he develops relationships with a surprising set of cohabitants. Rebus is a great character and I really enjoy reading about his thoughts and escapades. A great book from almost all corners which I've really enjoyed reading. I'm glad that there's plenty more in the series to look forward to. A prequel to the Isaac Bell series, this book shows the private investigator tackle one of his earliest cases, investigating sabotage in America's coal mines in the early twentieth century. 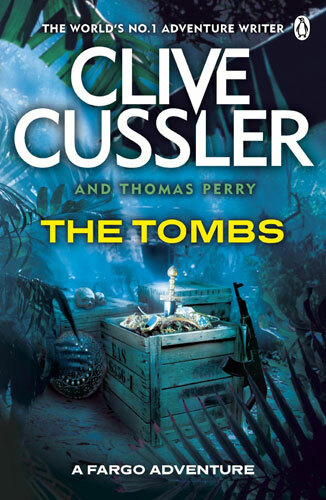 The style is slightly more similar to the first book of the series, though overall the book doesn't live up to that predecessor and is far from the best from the Cussler brand. The book continues the Bell series' slightly political commentary, with Bell himself seemingly possessing modern sensibilities and liberal-leaning beliefs that feel out of place in the era the stories are set. The plot feels bitty as Bell and the other characters dart around from city to city. The scenes don't seem to flow together particularly well and a lot of the action seems disconnected and it feels almost like random luck that an overall storyline emerges at all. I didn't find this one to be a captivating book, and generally think it reflects badly on the series that a book can be written with no believable peril or thrill. 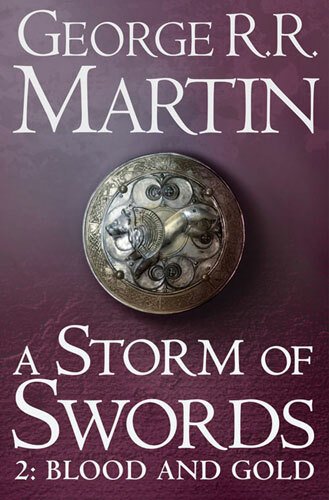 The third book in George R. R. Martin's Song of Ice and Fire series has been split into two volumes for the paperback release, and this is the first of those. I decided having finished it that a break might be in order before picking up the second half, so these are just my thoughts on this part, 'Steel and Snow'. The book follows a large collection of characters in and around the land of Westeros, following a large battle that took place at the end of book two, and dealing with the fallout. Each chapter is presented aligned with a different character's point of view, and as such I found it hard to get excited about starting a new chapter knowing that any cliffhangers wouldn't be resolved for some time. On the other hand it was nice to see the name of the character at the beginning of the next chapter and be glad the story was coming back to them. I enjoyed spending time with almost all the characters this time, which is more than I've said in previous instalments. It's difficult to comment on the overall plot having read only half of the real book, and no overarching plot has really emerged so far, but the individual instalments have all been captivating and have continued to make me love the characters I loved from the first two books and even enjoy more spending time with some of the others. The beginning perhaps felt a bit slow, and I had some difficulty remembering everything that had happened in book two, which I read only seven months ago, but the second half reignited my interest and I raced through it. Although I've decided to leave a gap before reading the second volume, I'm looking forward to picking it up a lot and reuniting with some of the awesome characters Martin has managed to create. 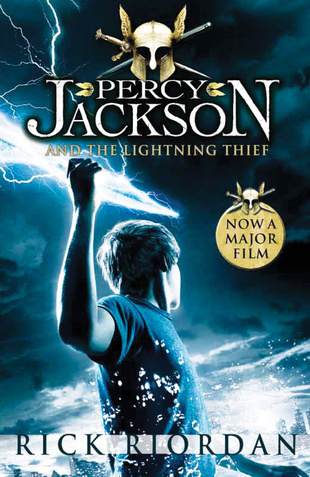 The first book in the Percy Jackson series hast often been likened to Harry Potter, but although there are clear similarities (fantasy world, magic powers, summer camp/boarding school etc) I felt it was sufficiently different to stand on its own as a story and beginning of a series. The story is told in the first-person, which allows the language to be modern, relaxed and appropriate and the reader to learn about the world with the characters. After Percy is attacked by his Maths teacher, he is sent away to a special summer camp, where he learns about his past and is sent on a quest. In style, it feels more like a cross between Brandon Sanderson's Alcatraz and Anthony Horowitz's Alex Rider series. I did feel that the chapters were quite short and felt rushed in places, and there wasn't as much focus on character as there could have been. I felt it lacked some realism in emotion and Percy in particular didn't react in a realistic manner in several situations. The many references to Ancient Greece were well written and showed a lot of research by the author, but sometimes did feel a bit like a lecture. An enjoyable read, though probably not enough to convince me to keep reading the rest of the series. 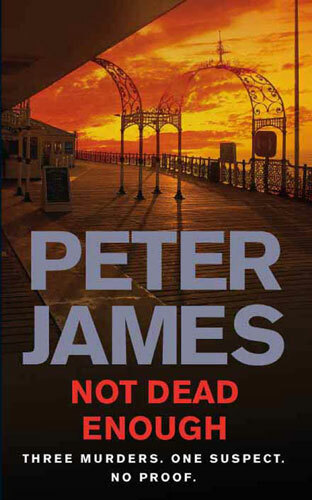 The second Roy Grace novel by Peter James is a big improvement. The prose feels much smoother, the story tighter and the structure more relaxed. 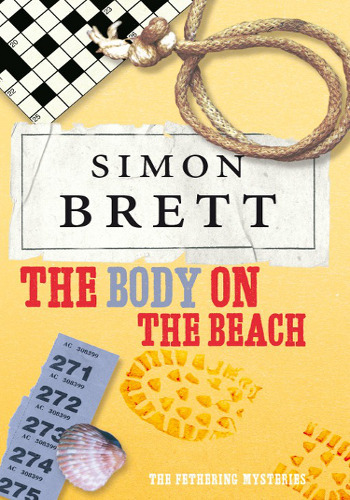 Detective Superintendent Grace is called in to investigate when a mutilated torso is discovered in a field, and there's one accidental witness who doesn't know whether to come forward. Unlike the first novel, the scene is set quickly and we dive into the action of the case. The short chapters provide neat chunks to read without getting bogged down, and the large cast makes for a realistic investigation and help the reader identify more with the characters' world. The plot is sufficiently dark to make this feel a believable story, and moves forward at a good pace, introducing further peril in good doses throughout. The characters are well-rounded without the text feeling like an extended profile, and the balance of their personal and professional lives was explored in an interesting way and felt important to them rather than just window dressing. 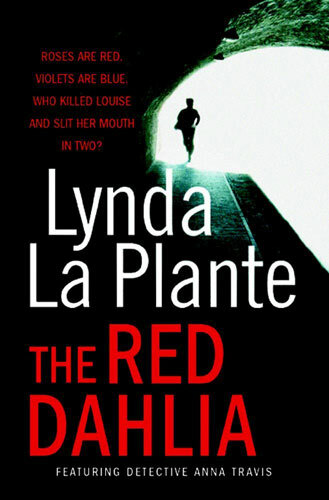 My only criticism would be the number of red herrings given to the reader - for the most part the plot is fairly open to the audience and it is not like reading a whodunit, but in some places there are hints that the detectives don't even find out about that feel a bit like padding. 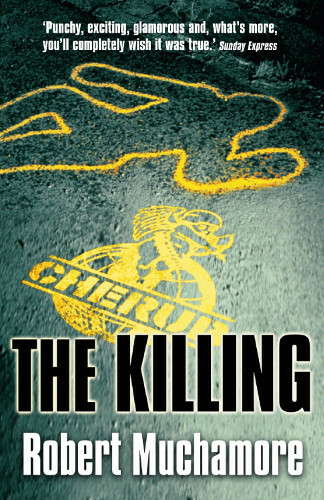 Overall though, a good book that's renewed my interest in reading more-serious crime fiction. 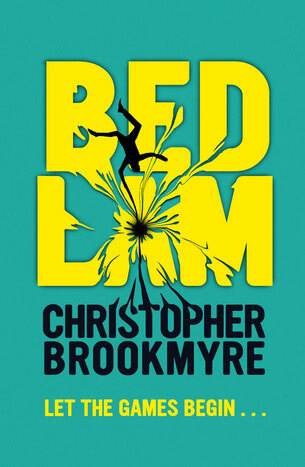 Bedlam sees the return of the Christopher Brookmyre name after a couple of serious crime novels under the abbreviation Chris, and I'd expected that would mean a return to the excellent humour of his earlier novels. Instead I was surprised by what turned out to be a slightly matrix-esque science fiction adventure that still raised a laugh. Ross volunteers as a guinea pig for an experimental new type of brain scan, but when he wakes up finds he's not in Stirling any more - he's in Starfire, a nineties computer game. As a concept it's fantastic and executed very well, with a good mix of games I'd heard of to add realism and a believable world. Ross is an engaging character who makes a brilliant protagonist and develops well throughout the story. My one criticism would be that the second half of the story seemed to pass very quickly compared to the first half - but this has been true of some of previous novels and might just be an indication of my being able to read that part of the story more quickly. It did seem that it lost some of the texture later on, and that there was plenty more to explore in the world that Brookmyre had created. A successful venture into yet another genre for Brookmyre which kept me entertained, though like his 'serious' crime novels not quite up there with the best of his earlier humorous work. The fourth adventure for the Three Investigators, young teenage detectives in 1960s California, is the creepiest of the series so far, introducing one of the themes more solidly that will run throughout the series. 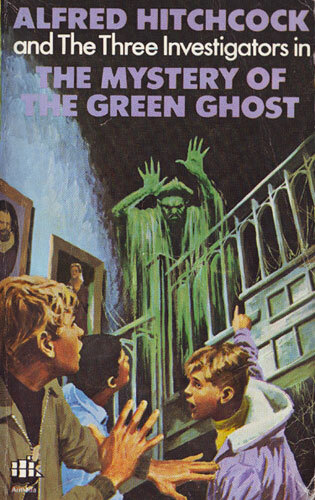 When Pete and Bob witness the appearance of a green ghost in an old house, it sets the trio off on their most wide-ranging adventure yet. In fact this was a little surprising, as until now the team has been portrayed as rather a low-cost outfit, but they now are hired to fly off on their own as part of the plot, which seemed a little implausible. The creepiness, particularly of the opening chapters, and the threat levels later on may scare some younger readers, and some of the dated stereotypes might not be what some parents want their children to read today. On the whole though its a good mystery and adventure that feels much more like the formula I remember settling into place. John Gardner's fifth James Bond novel is the best of the series up to that point, much more reminiscent of the adventures written by Ian Fleming, in which Bond, holidaying in Europe, discovers that almost every assassin around is after him. The character of Bond is much more to the fore in this novel, though not as much as in the originals, but the structure feels more familiar. The other characters are stronger than they have been, though it lacked the iconic enemies that Fleming was surprisingly good at making plausible. In terms of the plot, there were a few moments where I thought it didn't work, with one particularly obvious twist visible right from the start, but otherwise it was strong enough to keep my attention throughout. A good continuation story, and Gardner's best up to this point. I'm looking forward to continuing the series under his helmsmanship in the hope that things are on the up. 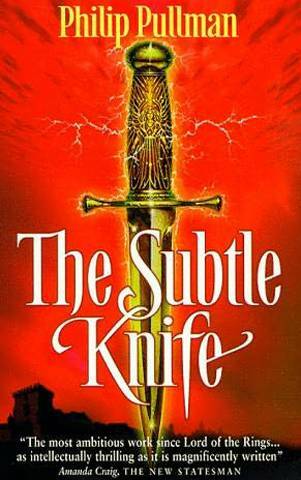 After finding the first book in the His Dark Materials trilogy an interesting read, I was keen to follow the rest of the story, as I felt book one was somewhat incomplete. Book two disapointed, lacking the characterisation, solid plot and detailed worldbuilding that I enjoyed in Northern Lights. In The Subtle Knife, we meet Will, a child of the real world who is on the run, and finds his way through a portal into another world. I was hoping that we'd spend the book aligned with Will as he went on a quest, as we had with Lyra in the first book, but that wasn't to be, and the narrative instead flits about between points of view with little consistency, making the events hard to follow in places. The ideas behind the book are excellent - the overall plot (though this does suffer from being a middle book which doesn't really advance much), the characters, the metaphors, the fantasy - but Pullman's execution does nothing for me. The writing feels a mix of patronisingly over-explaining things to the language of old-fashioned childrens' books like those by John Masefield, which now feels like the sort of thing a school curriculum would force on children as an example of literature. It's not a style that I found appealing or seemed like it would be approachable to young readers. I found that I really had to push myself to finish this book, and after waiting several months to read it after the first volume I felt quite let down. I hope the final book picks the pace back up and concludes the story in a satisfactory manner. In his fifth adventure, so-called sports agent Myron Bollitar is asked to protect a potential new client from unspecific threats following the disappearance of her father. As usual, this leads to a riot of violence, flippant comments and poking his nose around New England's elite. I didn't really engage with this entry in the series as much as some of the earlier ones. The plot seems quite vague through much of the novel, and there's not a lot to do as a reader except follow on the ride. The ongoing story around Myron and his friends feels sidelined, although it is present in small doses, and some of the minor characters become a means to an end rather than standing by their own right. 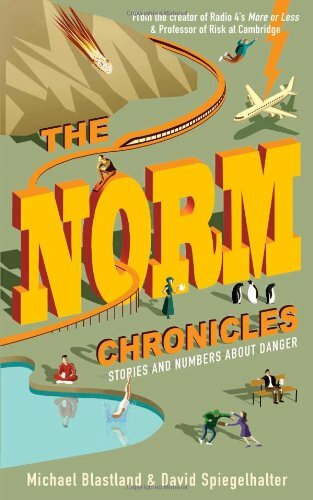 It remains entertaining in a corny way - slightly less Hardy Boys for adults than the first few books but still written very much with the author's tongue in his cheek. It's a good series for light, mindless reading that doesn't insult your intelligence by being too implausible. Overall, not the best in the series, but not a bad read. I got through it quite quickly without feeling like I was forcing myself to keep reading - it was not hard to read. While the fifth Alex Rider book contains the usual exciting scenes and vital mission to save the world, it seems quite bitty and lacks the strength of the first two books. 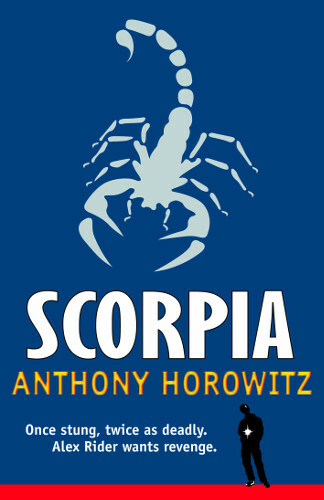 Following the revelation at the end of the last book, Alex heads to Italy to attempt to find Scorpia, and learn about his father. The story is full of peril, action, twists and turns and a group of characters who really could have been plucked from a James Bond story. In fact it's almost too Bond-like, becoming almost a parody. Alex comes across as rather a weak character, and there's little to make the reader too fond of him. He doesn't seem to act like a real boy a lot of the time, and it feels unbelievable where other authors writing about teenage spies manage to make the events more realistic. It's not the worst book in the series though and does well to make the plot more relevant to the character and less of a random stand-alone adventure. It will be interesting to see where things progress in the later novels. An interesting if slightly unfulfilling mystery for Hercule Poirot as he is called on to investigate something different to the usual - this time, he's asked to prove someone is alive. It's a complex plot involving a lot of family relationships and quite a large backstory. The first half of the book focuses on setting up the mystery - who the characters are and how they have found themselves in their situations. This felt like it dragged a bit and made me wonder quite when Poirot was going to make an appearance. He finally turns up about halfway through and sets about his investigations, which then seem quite rushed and disappointing. The characters - particularly the female ones - are generally well developed and show strong personalities that are probably the most interesting feature of the story. The plot has sufficient complications to baffle the reader, although I did manage to unpuzzle at least some of the clues. 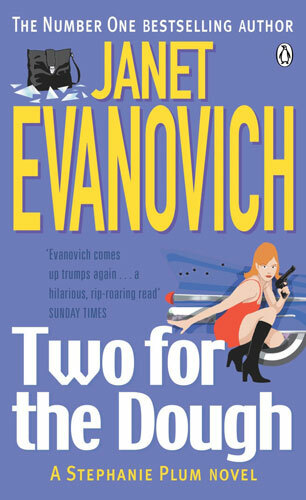 Overall, a middling novel in the series I think - neither the best or worst of the bunch. It starts well, but the actual meat of the story is in the set-up rather than the remainder. The beginnings of the thirteenth Swallows and Amazons novel is collected along with a few other short or incomplete works by Arthur Ransome, which makes this much more than just some disconnected scenes from a work in progress. 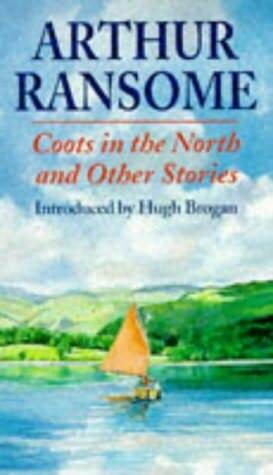 Coots in the North would have seen the Death & Glories travel from the Norfolk Broads to the Lake District, and the text contains the opening of this story, which though unpolished shows the usual Ransome style and really pulls the reader into the story, which makes it more of a shame that it then stops, with the remaining portions of narrative only adding a few extra scenes. It's an interesting insight into the author's writing process, while also a disappointment that there is no more. The other stories are equally interesting, though having not read Ransome's work outside his most famous series I may not appreciate all of it fully. The tone is very familiar, and I found the sections that open this collection the most interesting - the opening chapters of a potential book about a fisherman's life, and a later chapter from the same presented in the first person. Both stand alone quite well as short stories, and have encouraged me that now I've finished re-reading the Ransome books I've kept since a child to look out for some of his other stories. I think I've appreciated this book much more as an adult than I did when I read it as a child, and perhaps the grown reader is the best audience for it. It evokes memories of reading about the lakes as a child, and of wanting to become a writer myself in order to complete the story! The second book in the Rain Wilds Chronicles is more the second half of the first book than a separate novel. It follows the journey of the dragons, their keepers and the rest of the party as they travel up the Rain Wilds river to find the legendary city of Kelsingra. It's not really an exciting tale of adventure though, rather more looking at the characters and how they, and the relationships between them, develop over time. 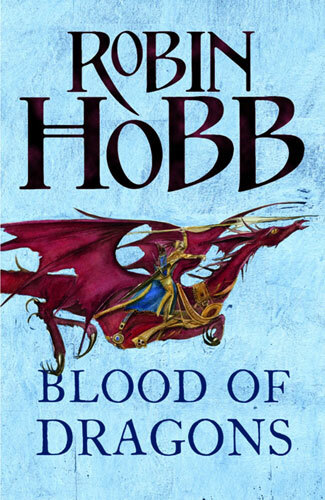 As such, while it's interesting to follow their lives, the narrative isn't really gripping and I didn't find I was as hooked as I have been with earlier Robin Hobb novels. The characters are good, varied, and perhaps deeper than ever before. Really I suppose this is a love story, a little reminiscent of the film Love Actually, as it follows the budding romances between pairs of characters, and the collapse of others. In this, it's really good, and there's one particular relationship that I found fascinating to follow. It's quite different to the author's usual tales, and I quite liked the variety, but didn't find it as engaging. It's a little slow and is very much the middle and end of the story started in The Dragon Keeper. In the fourth Cherub novel, Robert Muchamore's writing returns to the power of the first two books, as teenage secret agent James Adams is sent in to help find the source of a minor criminal's sudden windfall. Muchamore's writing is perfect for modern children, focusing on realism and believability, and creating characters that his readers can relate to and sympathise with. Packed with excitement, every reader will want to be a part of Cherub and live the thrilling lives of James and Lauren Adams. 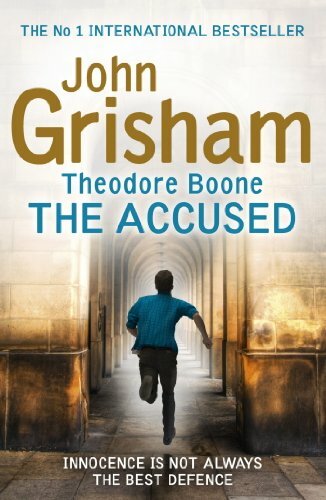 Theodore Boone returns for a second adventure, with all the flaws of the first, plus a weaker plot and far less going on. This time, Theo's friend April had vanished in the middle of the night, and the police are desperate to find her. The story is quick, dull and devoid of excitement. There's nothing here to interest a young reader. Theo is slightly less perfect than in book one, worried about disobeying his parents in places and attempting to get out of school (weakly), but he still remains a flawless child that any 1950s parent would be content with. The problem is that it feels like it was written for a child of the past. The language is not modern, the character's activities are not typically relatable, an it's an incredibly classist and sexist book. Theo's family are posh enough to eat at restaurants every day, and the narration constantly berates lower class people and describes areas of the town where more people rent than own as undesirable. This comes across as a disgusting prejudice throughout the book and really turns me off as a reader. 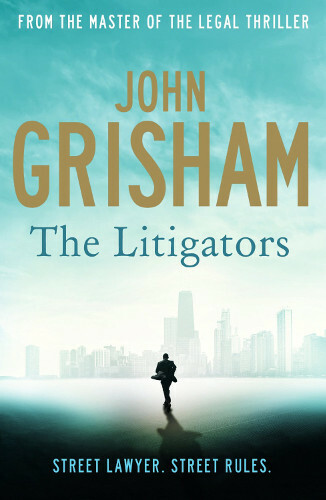 Grisham may sometimes be able to pen gems as a writer of legal thrillers, but he seems to have no understanding of children, and really should stay away from this market. Finally in book four of the five find-outers series the team get a proper mystery to solve. The children are home for the school holidays when Pip and Bets maid (so it's a bit out-dated) receives a horrible letter and runs away. The children set out to find who wrote it before Constable Goon. 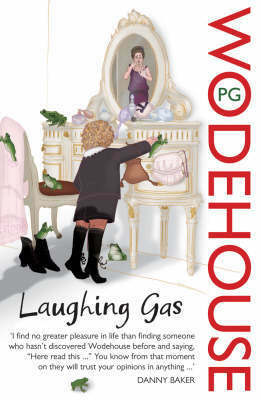 Filled with the usual humour, mystery, disguise, and the Blyton mix of easy language with some unexpected challenging words thrown in, this is probably one of the best of the whole series. For the first time, the mystery that the team have to solve requires proper detection work, and is much more like an Agatha Christie mystery. Fatty even seems a little like Christie's Poirot in his dramatic style and detective skills. An excellent book and a puzzle that the reader can solve along with the characters. The fourth book in the Fargo series, featuring millionaire treasure-hunters Sam and Remi Fargo, sees the adventurous couple on the trail of Attila the Hun, chasing around the world following a variety of clues, with unscrupulous opponents on their heels. 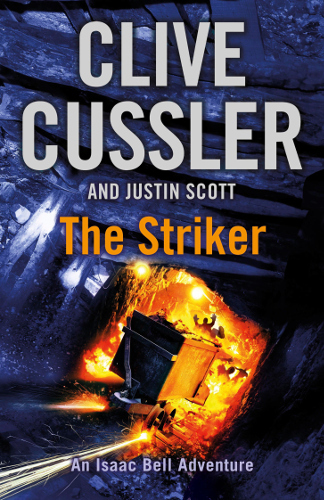 A new co-author joins Cussler, which I had hoped would make a change to some of the earlier books' shortfalls, but that's not really the case. The fundamental idea for the story is a good one, though there are some details which seem to be glossed over as if the reader is not expected to notice - plausible character motivation being one, but the execution is poor. The style of the narrative is very basic and doesn't lend any depth to the characters - there's no thought or emotion from them, and in several points it feels like a cold description of events or even a children's novel in the way it depicts what's happening. There are some pretty fundamental plot-holes, and I found this quite distracting, chief among them an issue with the timeline of events which suggests that historical characters knew their own futures. A lot seemed rushed, with problems being solved instantly and searches that in reality would take months being completed in an afternoon. The most annoying thing about this book though was the characters - two multi-millionaires just don't work as main characters, as money seems to solve too many of their problems, chartering planes, replacing equipment etc. One new character also has the amazing ability to do absolutely anything at the drop of a hat despite being just a random they picked up on the journey. None of the main characters had any flaws or weaknesses and this just made for a dull and ultimately predictable adventure. Overall, although I found it entertaining and at least didn't feel bogged down at any point, the Fargo series still disappoints. It's definitely the weakest of the Cussler brands and the new author couldn't pull it up to the standard of Cussler's original novels. Harry Hole's sixth adventure sees the alcoholic detective, fresh from the ongoing storyline of the previous three novels, investigating the assassination of a Salvation Army official in the middle of an Oslo Christmas concert. As usual, things aren't quite that simple. In common with a number of Nesbo's books that I've read, this one has an awkward beginning. The opening chapters didn't grip me and seemed overly graphic and unrelated to some of what came later. The plot, once it picks up, is actually the best part of this book, with a satisfying number of twists, turns and double-bluffs. The mystery is very strong despite the time spent aligned with characters from all sides and the urge to find out more is what really drove me to read quickly. The characters however aren't so enthralling and in many cases feel underdeveloped. Where they are given backstory it tends to be in the form of a massive chunk of life history which distracts from what's happening in the story rather than naturally filling in the reader. 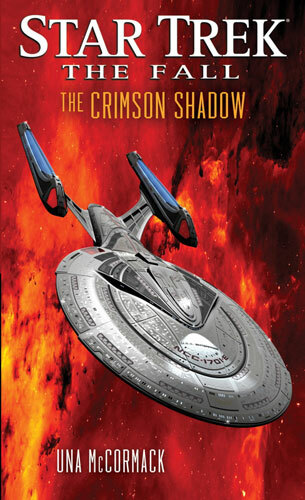 Overall, a very similar book to others in the series, with a good story and some particularly enjoyable scenes. 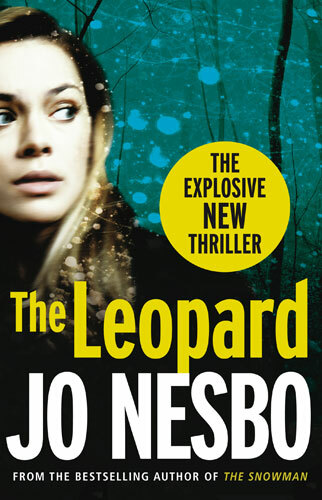 I'm still not convinced that Nesbo is one of the best crime writers around, but his books are certainly popular.